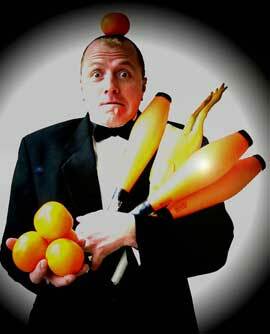 I juggle 1 to 5 balls, globalls, 3 clubs, 3 gloclubs, 3 knives, 3 Machetes, 3 rubber chickens, rubber eggs and 3 fire torches (although not all at the same time…) I carry these props in a smart suitcase when around and about in a walkabout style. The fire props have their own metallic case and fuel is carried in a compact steel flask plus a shiny red steel can for the rest! 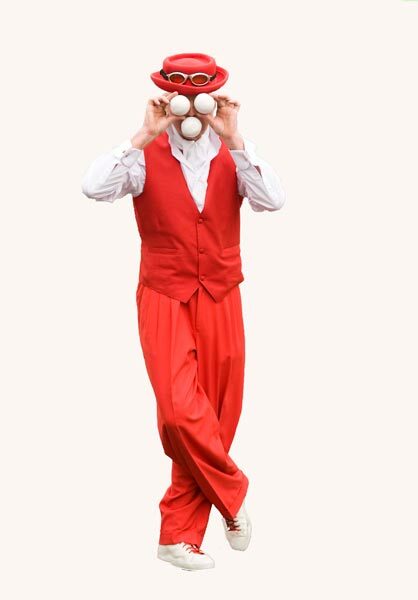 I perform a great number of tricks, especially with the balls and perform to a very high standard within my shows and walkabout. 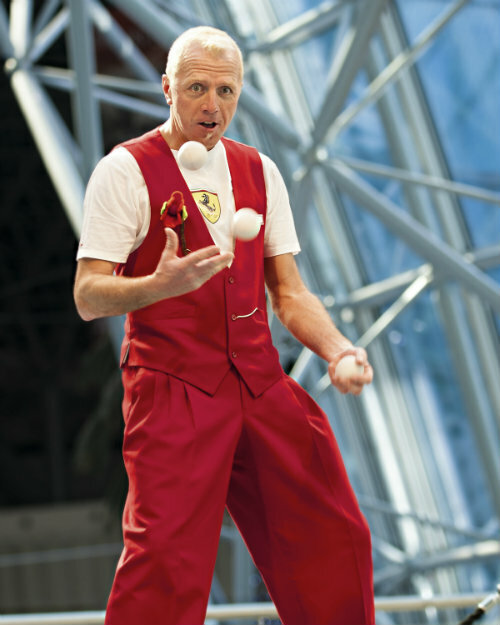 My preferred style is as a comedy juggler be it as a walkabout entertainer, meet and great character or performing a juggling show. 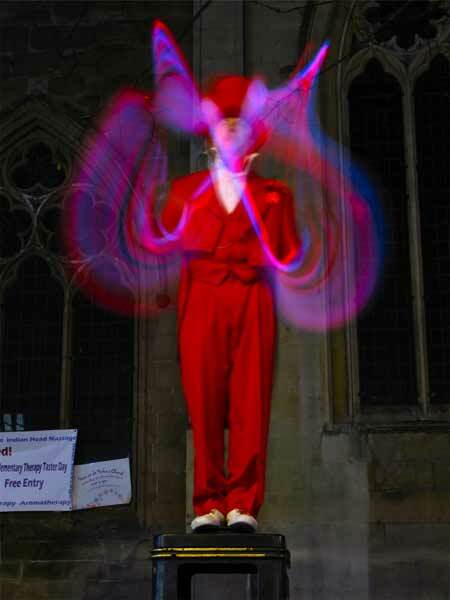 I also perform with 1 and 2 diabolos, a super bright LED diabolo and with a fire diabolo. 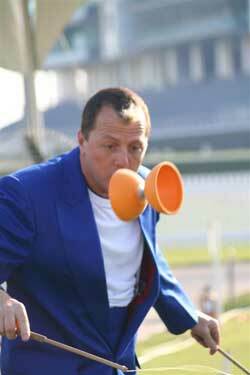 I perform many stylish tricks including VERY high throws and some lovely old school classics! 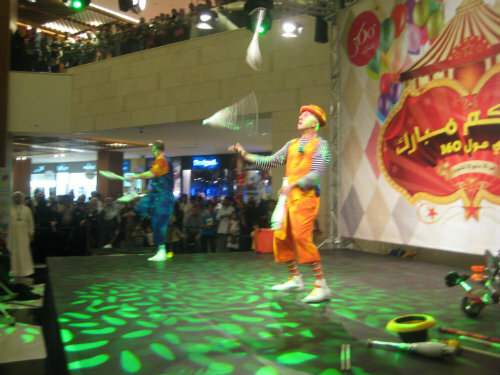 Other props used are devil sticks, flower sticks and cigar boxes. 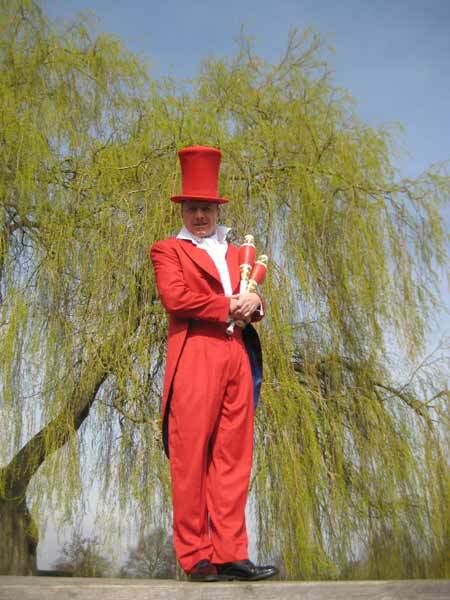 I also perform as a juggling stilt walker and the proud owner of a great number of very groovy tailored suits! 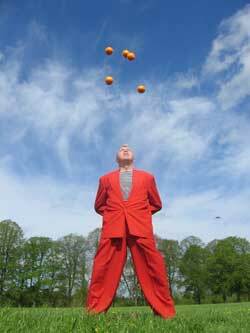 Also a huge number of character costumes too such as Vintage Policeman & Racing Driver, Pirate, Jester, Tennis Player etc etc.